Jennifer Brozek is a freelance author, award winning game design writer, award winning editor, and small press publisher. Before becoming a full time author, she was a software QA engineer working on a wide range of projects, including video games. Jennifer co-chaired one of the first Babylon 5 science fiction conventions (StarQuest '95), was a sidekick character in the web comic, Casey and Andy, and is listed as a 200 point GURPS character. 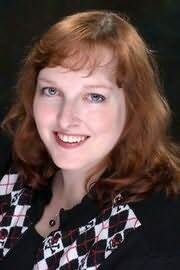 She began her professional writing career in 2004.